I asked him (Swedish national) about the details of this travel because it goes against my expectations. Apparantly, he was flying from Arlanda to Ireland with Aer Lingus and the check-in staff at the airport requested to see his passport, were not satisfied with his (Swedish) EU ID card. 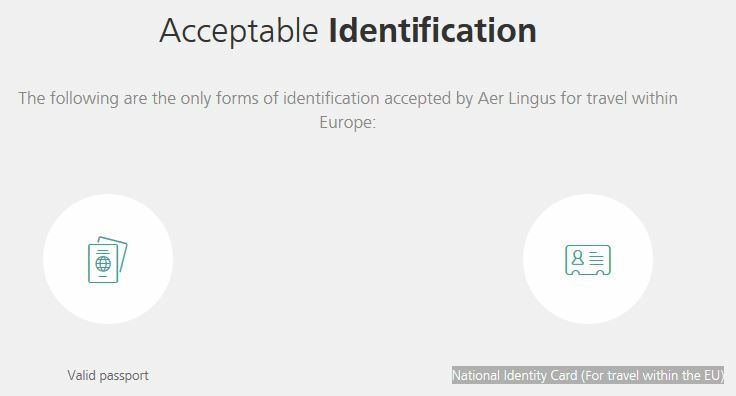 Is this a general policy of Aer Lingus not to accept European travellers with ID cards into Ireland? Was it the desk agent’s bad day? Or is an EU ID card really not a sufficient document to enter Ireland on? Within this post, EU ID card is taken to mean national identity card issued by an EU member state to this country’s citizens. Swedish ID cards are valid across the EU (not to mention across Europe, save for 3 countries). Are you sure, though, that it was check-in that turned him away, and not Swedish border police? Is this a general policy of Aer Lingus not to accept European travellers with ID cards into Ireland? Nationals of Sweden with a national ID card. Visa required, except for Nationals of Sweden. I have traveled with SAS from Arlanda to Dublin. I went through smoothly with my Swedish national ID card (checking in and border control). But at the boarding gate, the SAS staff asked me for my passport. I asked for the reason and she replied that Ireland does not accept National ID. Fortunately I did have my passport with me. I haven’t tried to use my national ID at Dublin airport. Not the answer you're looking for? Browse other questions tagged air-travel paperwork ireland eu-id-card aer-lingus or ask your own question. What's a good prepaid SIM card for data in Ireland?